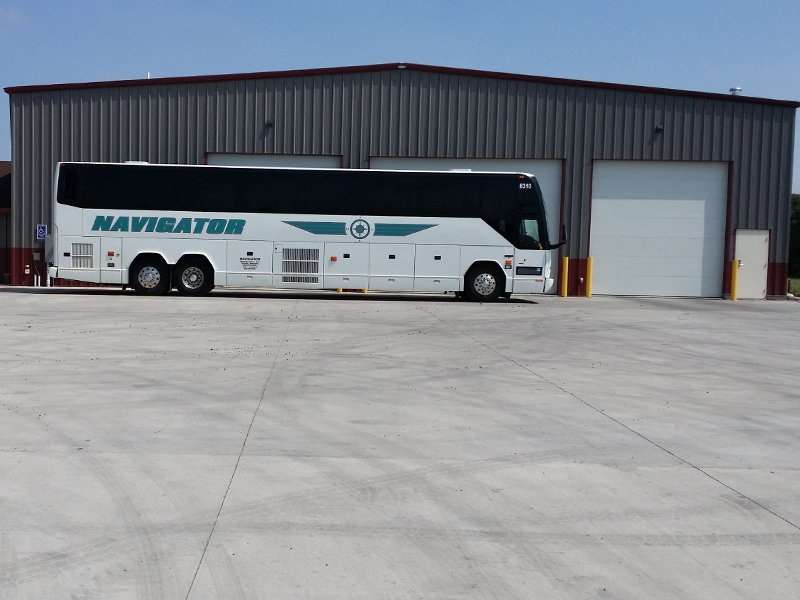 Navigator Motorcoaches is a nationwide Charter and Motorcoach Bus service. Our main office is located in Norfolk, Nebraska, with satellite offices in Kearney, Omaha and Sioux City, Iowa. Through these locations, we are able to offer easy accessibility and superior service to the surrounding Nebraska, South Dakota, Iowa, and Kansas regions. 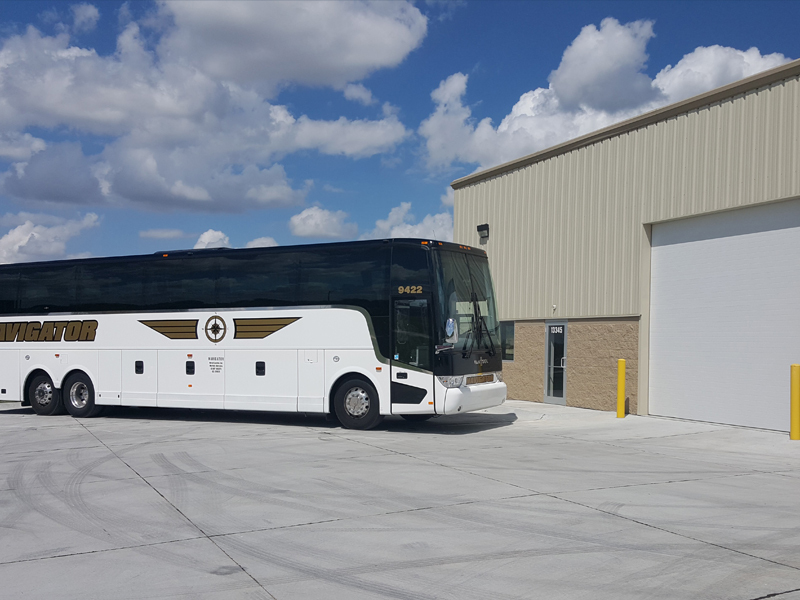 With our many charter bus service facilities in the Midwest region you should be able to find the right office close to you. We are also able to go everywhere licensed for all states and provinces in North America. 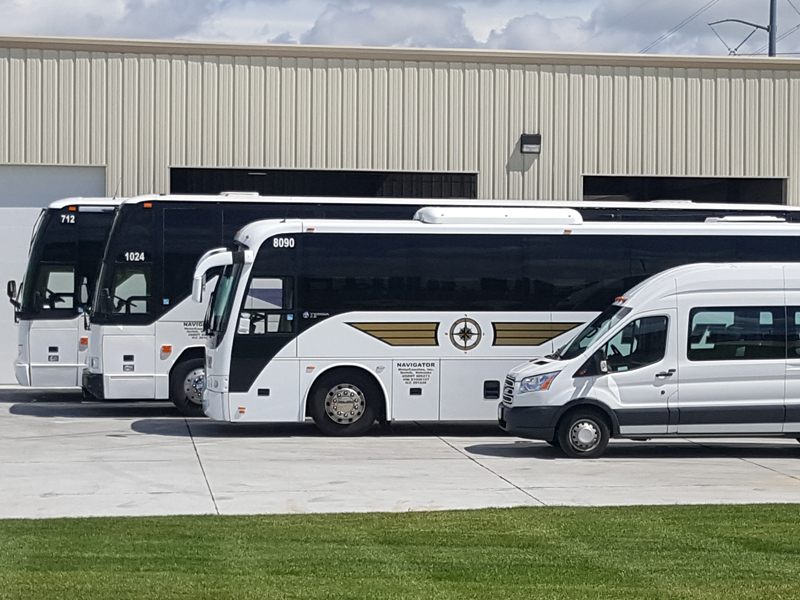 We operate 15-passenger vans, 26 to 29 passenger Mini-Buses, Trolleys and 40 to 58 passenger MotorCoaches. They are of European styling with standard amenities, including reclining seats, footrests, DVD player, 102 inch wide flat floors, passenger window shades, kneeling front step, air conditioning, large restroom and ample luggage space above and below. MotorCoaches have been updated with 110 power outlets. Wi-Fi and Satellite Televisions are also available - please call for details. We offer group charters or bus tours, including but not limited to, high school and collegiate athletic departments, corporate teams, government and military officials, schools and churches, weddings and special events.